When the Comfort Companion doll was placed in her hands, Anna broke out in a rare kind of radiant smile that clearly came from deep in her heart. Anna’s smile and those on the faces of other residents of Twelve Oaks were initiated by a feeling of comfort, something those living with Alzheimer’s disease and other forms of dementia both need and want. Recently, residents of the DePaul Senior Living Community in Mt. Airy, North Carolina, got just that with an anonymous donation of several Comfort Companion dolls and dogs. 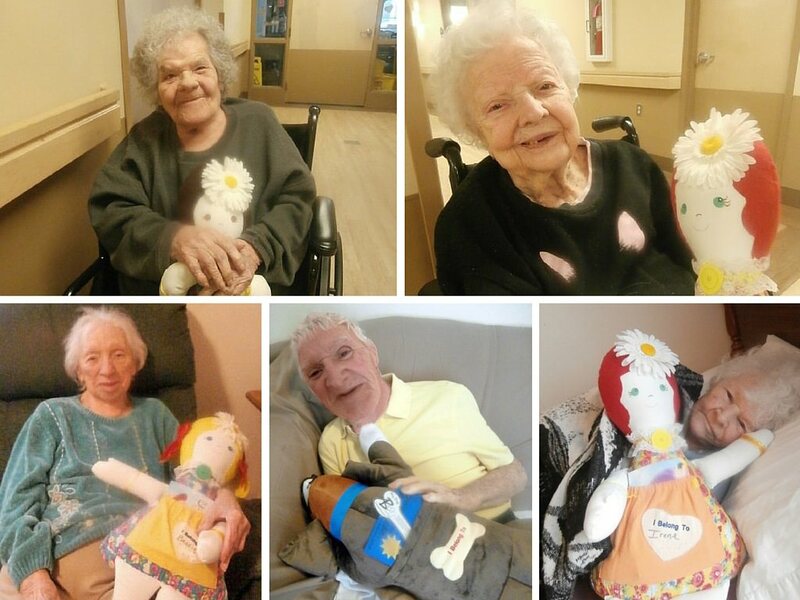 Similar to the myriad of benefits gained from music therapy, the demeanor of people with Alzheimer’s disease may improve with the stimulation of “nurturing” a doll. At Twelve Oaks, the companionship provided by the stuffed dolls and dogs has already proven successful. “Mary rarely says anything but she will talk to you about the doll!” said Anna Buford, Activities Director at Twelve Oaks. The dolls have been a hit, according to Anna, because they help residents recall the past. DePaul Senior Living Communities provide the comforts of home, a commitment to enhancing quality of life, and personal care services in a supportive environment that promotes independence. Learn more about our communities in New York, North Carolina and South Carolina. Thank you all for making my Mom's life a little better ! Don't know what I would of done with out you !! You're welcome, Joy! We consider it a privilege to care for your Mom! Thank you for your comment.